The 52nd annual Chicago International Film Festival is drawing to a close, and I’ve spent much of the past two weeks screening a number of its many fine offerings. Here are brief looks at the pictures I saw, scored on the basis of 1 to 5 (worst to best), the voting system used by Festival attendees to rate the movies shown. This highly entertaining dark comedy focuses on the exploits of two disabled young men (Zoltán Fenyvesi, Ádám Fekete) who fancy themselves graphic novel artists but who, for economic reasons, are forced to become accomplices to a disabled fireman-turned-hitman (Szabolcs Thuróczy) in helping him carry out the orders of a mob boss (Dusán Vitanovics). In many ways, it would seem that the odds are stacked against the trio of reluctant assassins, but, when pressed, they manage to rise to the occasion, showing how to overcome disabilities that might stop others in their tracks, no matter how dubious the objective. With its offbeat humor, imaginative cinematography, intriguing mix of photography and animation, terrific soundtrack, and excellent performances by disabled actors in their screen debuts, “Kills on Wheels” truly fires on all cylinders.  For its efforts, the film was named the winner of the Festival’s Roger Ebert Award in its New Directors competition. 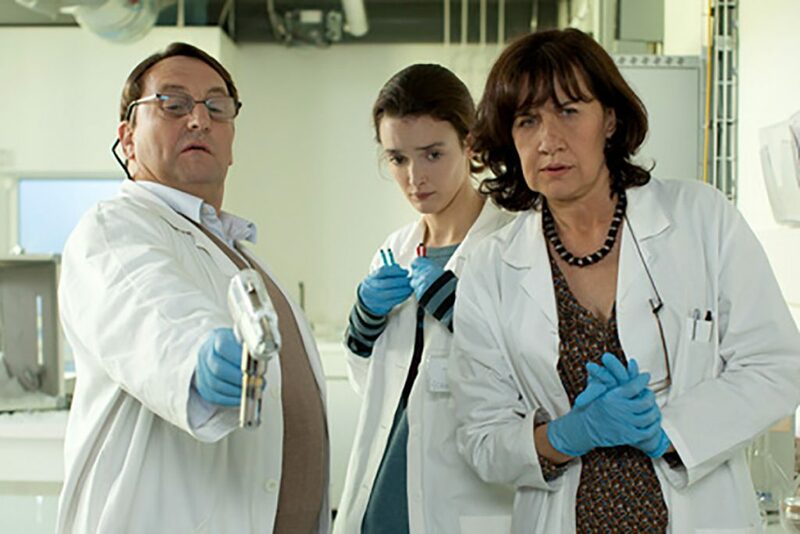 Rupaszov, a disabled fireman-turned-hitman (Szabolcs Thuróczy, top), and his accomplice, Zolika (Zoltán Fenyvesi, bottom), make an unlikely duo of contract assassins in the new Hungarian dark comedy, “Kills on Wheels” (“Tiszta szívvel”). This scathing, bitingly satirical look at how Communist Party leaders (including those in seemingly mundane, low-level positions) used their power to manipulate and intimidate others for wholly self-serving purposes in Czechoslovakia in the days before the collapse of the Iron Curtain. 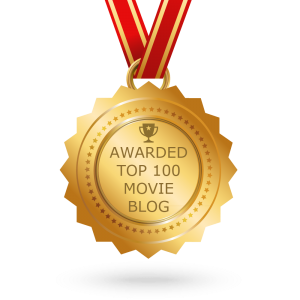 The film focuses on the schemings of a conniving grade school teacher (Zuzana Mauréry) who abuses her power to obtain favors from the parents of her students in exchange for good grades – or the opposite for lack of compliance. And, if left unchecked, she just might get away with it, too – that is, until students and parents begin speaking up. In Czechoslovakia before the fall of the Iron Curtain, a self-serving teacher and low-level Community Party official (Zuzana Mauréry) abuses her power to get what she wants from the parents of her students in the bitingly satirical new comedy, “The Teacher” (“Učitelka”). 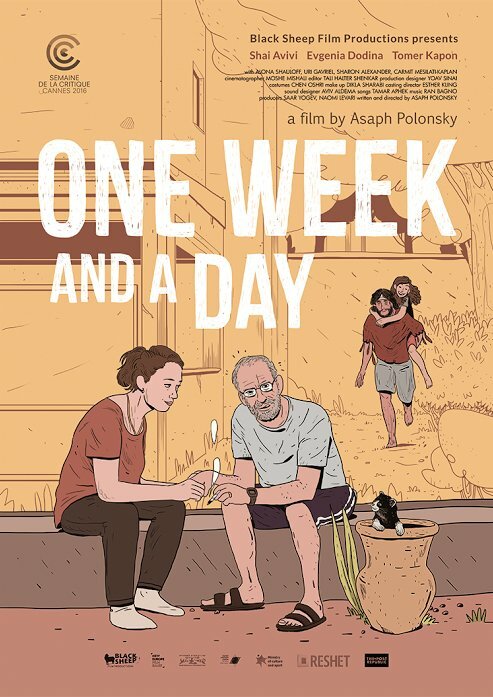 This offbeat dark comedy with a heart is a real gem. Chronicling the exploits of two mental patients (Micaela Ramazzotti, Valeria Bruni Tedeschi) who slip away from their institution, the film follows the pair on a wildly funny adventure through Tuscany, telling a story that’s part “Thelma & Louise” (1991), part “King of Hearts” (1966), part “Welcome to Me” (2015), part “One Flew Over the Cuckoo’s Nest” (1975) and part “Forces of Nature” (1999). It also shows that what we think of as mentally challenged may not always be as clear-cut as most of us – including the experts – might think. Escaped mental patients Beatrice (Valeria Bruni Tedeschi, left) and Donatella (Micaela Ramazzotti, right) take off on a wild road trip in the smartly written Italian dark comedy, “Like Crazy” (“La pazza gioia”). This delightfully offbeat French comedy illustrates the lengths some of us might go to in fulfilling unrequited love – even if it means injecting ourselves with penguin DNA. 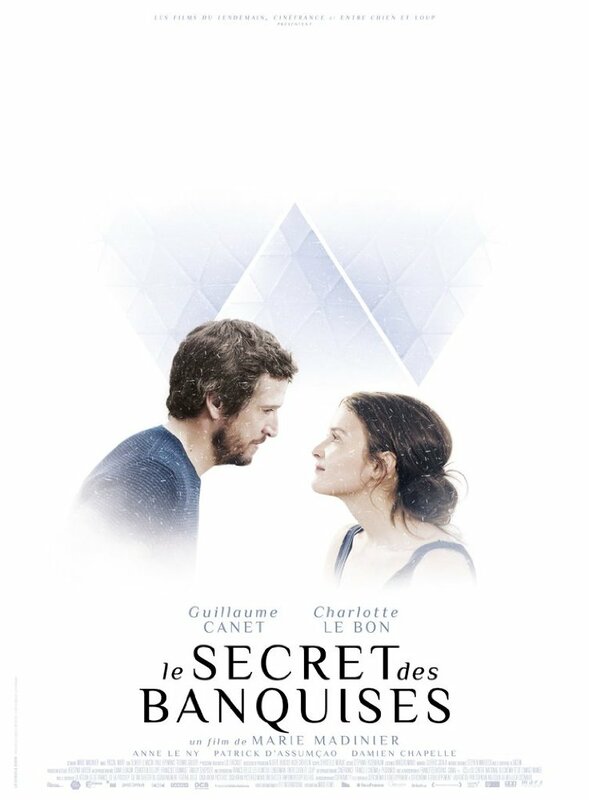 When a young research associate at a pharmaceutical company (Charlotte Le Bon) tries to catch the eye (and heart) of her handsome but oblivious workaholic boss (Guillaume Canet), she takes drastic measures to capture his attention, with funny, smart, romantic and entertaining results. When a young research associate at a pharmaceutical company (Charlotte Le Bon, center) tries to catch the eye (and heart) of her handsome but oblivious workaholic boss (Guillaume Canet, not pictured), she takes drastic measures to capture his attention in the French romantic farce, “Arctic Heart” (“Le secret des banquises”). This whimsical comedy about a woman who’s “different” – she has a tail! – examines how the qualities that set her apart from mainstream Russian society affect her interaction with family, co-workers, a prospective love interest and various official institutions, like the church and the medical establishment. 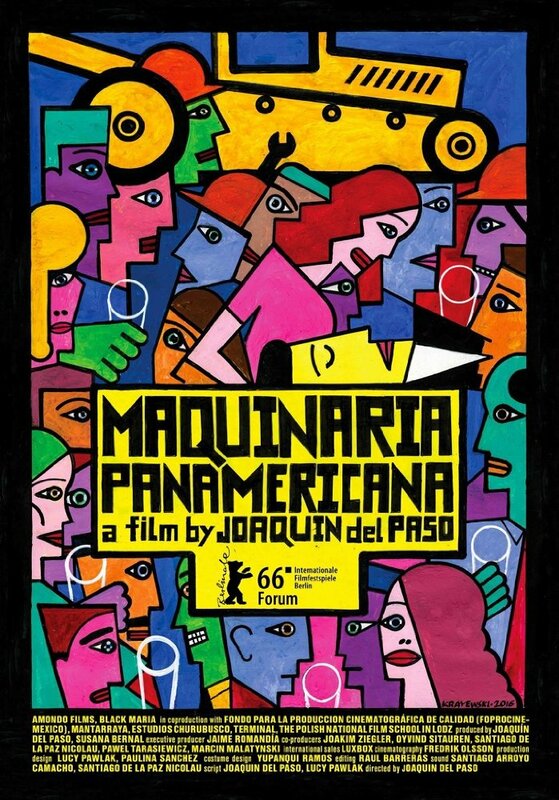 In making its statements about conformity, individuality and celebrating our defining characteristics, the film conveys its message while maintaining a mostly light and fun attitude, except when a stronger touch is absolutely called for. Natascha (Natalya Pavlenkova), a middle-aged, often-ostracized Russian woman who’s “different” – she has a tail! 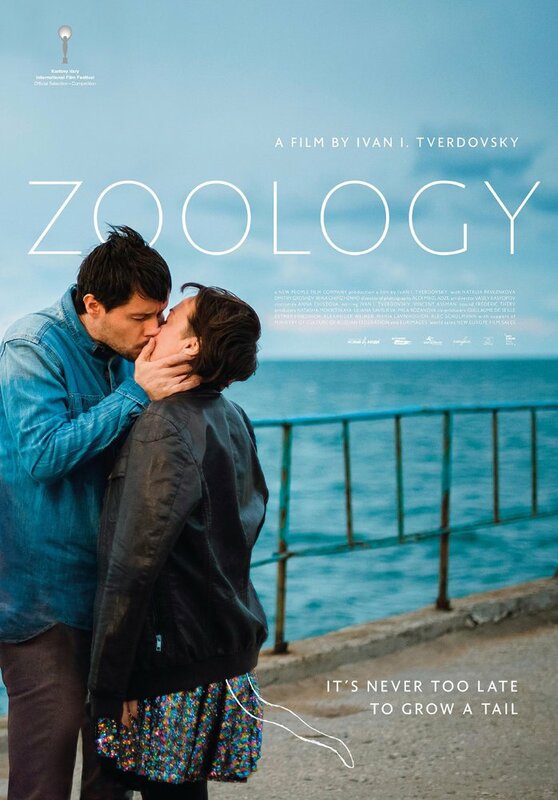 – experiences firsthand how the qualities that set her apart from mainstream society affect her interaction with family, co-workers, a prospective love interest, the church and the medical establishment in the satirical comedy, “Zoology” (“Zoologiya”). When a middle-aged Israeli couple (Shai Avivi, Jenya Dodina) loses their twenty-something son to illness, they struggle to cope with the meaning of the tragedy. But, with this being such unfamiliar territory, they’re not sure how to proceed, prompting them to try out a number of solutions, from the traditional, like sitting shiva, to the unconventional, including imbibing in their son’s leftover medical marijuana with a goofy neighbor (Tomer Kapon). 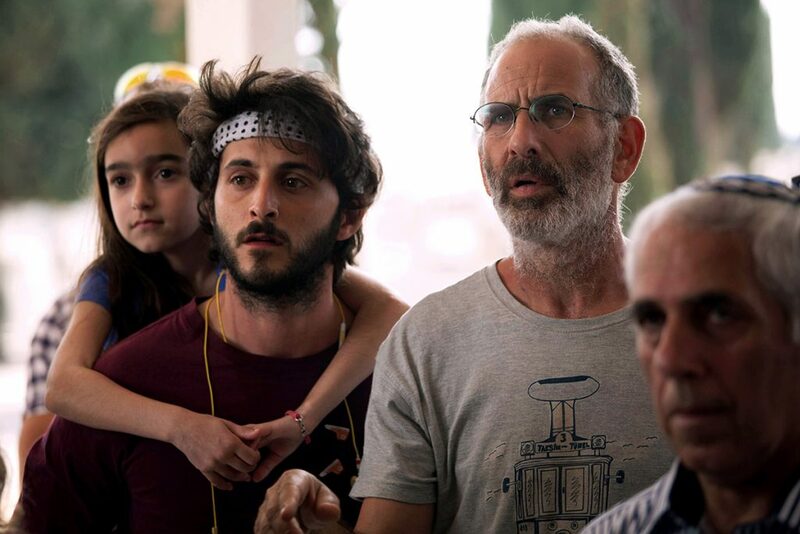 Grieving father Eyal Spivak (Shai Avivi, second from right) struggles to cope with the loss of his son with the aid of his goofy neighbor, Zooler (Tomer Kapon, second from left), in the new Israeli comedy-drama, “One Week and a Day” (“Shavua ve Yom”). Director Roberto Andò’s subtly satirical look at contemporary politics and economics centers on the mysterious death of an IMF manager (Daniel Auteuil) at a G8 conference after he gives his confession to an enigmatic Italian monk (Toni Servillo). As the story unfolds, revelations emerge about secrets kept by the deceased, as well as those harbored by the other ministers in attendance, many of who feel uneasily compelled to confess in the wake of the summit’s unexpected events. Matters become further complicated by the presence of other unexpected guests, such as a highly successful children’s book author (Connie Nielsen) who seems to know more about what’s going on than anyone is aware of. The implications of those revelations have potentially far-reaching consequences, extending far beyond the lives of those present. Chaos reigns when an immensely successful author of children’s books (Connie Nielsen, center), an invited guest to a G8 conference, stumbles into an array of secrets, deceptions and international economic intrigue in the Italian-French co-production, “The Confessions” (“Le confessioni”). The latest offering from director Thomas Vinterberg (“The Hunt” (2013), “Far from the Madding Crowd” (2015)) takes a sometimes-serious, sometimes-comic look at one family’s experiment in communal living in 1970s Copenhagen. 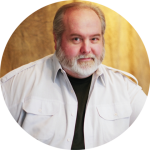 What starts out with the best of intentions undergoes a number of unforeseen twists and turns that disrupts long-standing relationships in both favorable and unfavorable ways. The film probes what it means to explore both our universal connectedness, as well as the need for healthy boundaries. 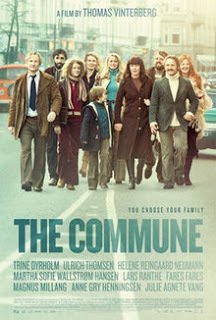 Husband and wife Erik (Ulrich Thomsen, right) and Anna (Trine Dyrholm, left) find themselves in over their heads when they engage in an experiment in communal living in 1970s Copenhagen in director Thomas Vinterberg’s latest offering, “The Commune” (“Kollektivet”). 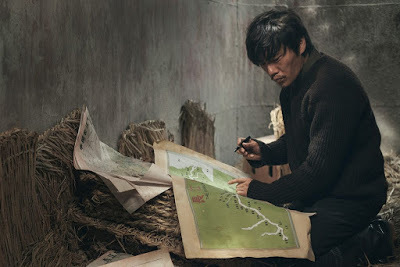 This gorgeously filmed journey in search of the head waters of China’s Yangtze River presents a beautiful metaphor of the nation’s political, economic, cultural and spiritual history, reflected through the encounters of a young boat captain (Hao Qin) with a series of female apparitions. In doing so, the picture attempts to fill in some of the knowledge gaps of Chinese viewers (especially younger ones) who may not be aware of much of their country’s heritage prior to the Communist revolution. 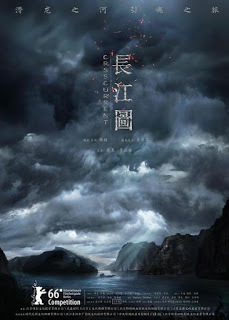 When a young boat captain (Hao Qin) seeking the head waters of China’s Yangtze River has a series of encounters with mysterious female apparitions along the way, he comes to realize he’s traversing more than just a waterway in the beautiful, enigmatic fantasy, “Crosscurrent” (“Chang jiang tu”). 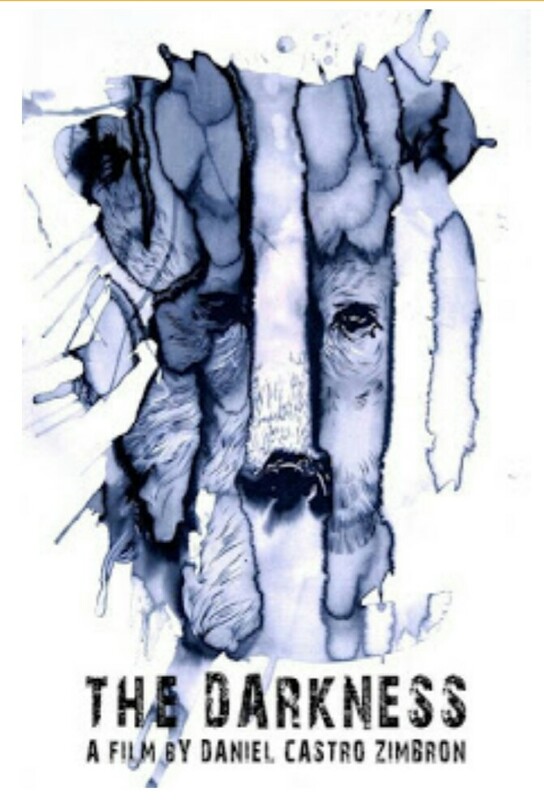 Is it a macabre romp? A feminist manifesto run amok? Sibling rivalry taken to the extreme? Well, it seems this graphic horror offering is trying to be all these things but, regrettably, fails to come together as a complete package. 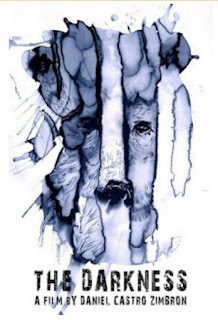 When a young vegetarian veterinary student (Garance Marillier) tastes meat for the first time as part of a college hazing ritual, she quickly develops a taste for flesh – of all kinds. In attempting to understand her circumstances, she consults her older sister (and fellow student) (Ella Rumpf), who only confuses matters even more, with gruesome consequences. 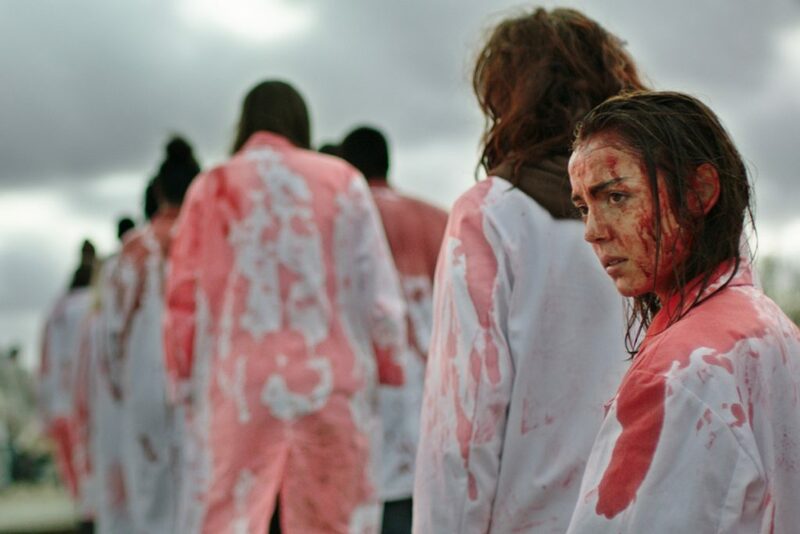 When a young vegetarian veterinary student (Garance Marillier, foreground) tastes meat for the first time as part of a college hazing ritual, she quickly develops a taste for flesh – of all kinds – in the macabre horror flick, “Raw” (“Grave”). 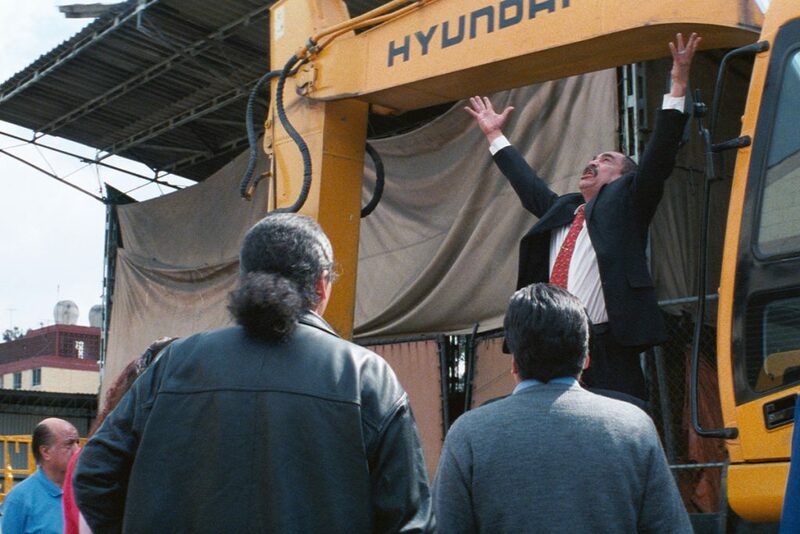 When the magnanimous owner of a Mexican machinery company that’s arguably the happiest workplace on the planet suddenly dies and leaves his operation bankrupt, the employees are lost to figure out how to carry on, pursuing a variety of options from outright denial to unrestrained hysteria to utter debauchery. 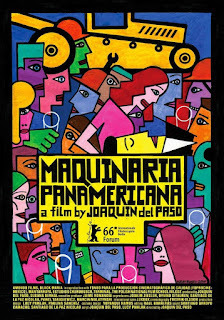 But what starts out as a lighthearted, whimsical comedy quickly turns into a heavy-handed, though often-unfocused religious/spiritual satirical commentary whose message becomes increasingly lost in its utter preposterousness. The film goes off the rails as it becomes progressively more ridiculous with each passing frame. Faced with the prospect of having to fend for themselves, the employees of a bankrupt Mexican heavy equipment company try different solutions to get by in the overwrought satire, “Panamerican Machinery” (“Maquineria Panamericana”). This cinematic attempt at allegory between today’s increasingly fearful culture and the world of a family trapped in a forest cabin under constant threat from an unseen monster unfortunately falls flat from tedious pacing, a meandering narrative, pointless red herrings and an overall lack of focus. 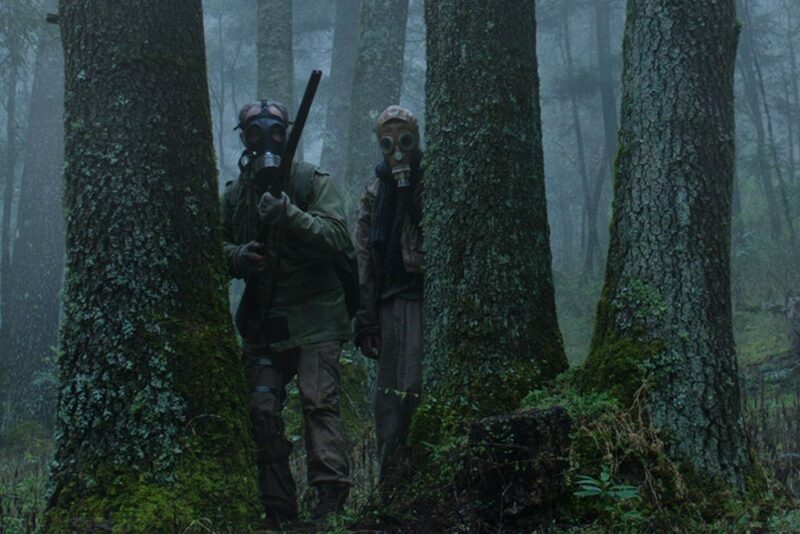 A family tormented by a mysterious woodlands creature takes tentative steps to survive in the atmospheric but ultimately tedious Mexican horror film, “The Darkness” (“Las tinieblas”). The CIFF features an extensive array of independent, foreign and documentary films in a wide variety of genres, as well as special retrospective screenings and tributes to leading movie industry performers and directors. More than half of the 140+ pictures presented conclude with Q&A sessions with their creators and/or stars after the screenings. It’s quite the event for the serious movie lover, so, if it’s not on your calendar for next year, mark it down now. See you on the red carpet!